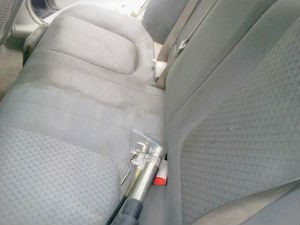 To maintain the necessary cleanliness of your car you should provide hoovering of it upholstered areas. Car seats, headrests, mats and other soft surfaces get easily stained no matter how you try to protect them. The best you can do to ensure the good condition of your upholstery is using professional cleaning services. 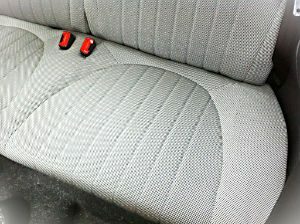 We carry out effective car upholstery cleaning in vehicles which we provide to the Cricklewood residents. Take advantage of our professional services to get the expected results and even better ones. You can use our cleaning services whenever you need refreshing of the upholstery in your car, its deep cleaning, removing stains and spillages from it. We use the latest machines for vacuum, steam cleaning and drying carpets. Our staff are supplied with high-quality products for sanitising. All of them have undergone professional trainings to keep their skills and knowledge on the necessary level. They spray the dirty fabrics and leave the product to work for some time. Then, our staff hoover the soiling and cleaning solution. The seats and mats are then steam cleaned with the help of professional machines. In the end the upholstery is rid of the moisture with industrial driers and deodorised to get refreshed. Get in touch with us to book the car upholstery cleaning we provide in NW2 and we will keep your vehicle’s interior in hygienic state. We offer affordable services done with care and high-grade cleaning equipment. It is essential that you keep your vehicle’s interior well sanitised especially if you use it often and this can be achieved with the help of professional cleaning services. Our company is one of the leaders in the industry offering excellent car upholstery cleaning within NW2 to owners of various car brands and models. For more information and help contact our customer support centre.